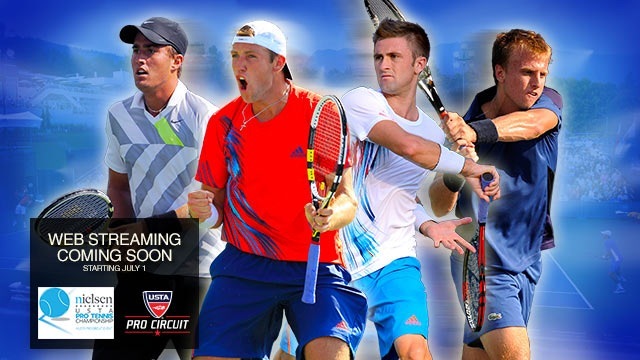 The 23rd USTA Nielsen $50,000 Challenger Men’s Pro Tennis Championship will take place on July 5th- July 11th at the A.C. Nielsen Tennis Center in Winnetka, Illinois. This is the only Men’s professional tennis tournament in the Chicago area. The first Challenger tournament took place in Winnetka in 1984, and over the years has featured players who have risen to the peak of the world tennis rankings. Former top professionals such as Lleyton, Hewitt, John McEnroe, Pete Sampras, Todd Martin, Luke Jensen have all played in Winnetka. Current highly ranked tour players we have hosted include Rajeev Ram, Sam Querry, Michael Russell, Jack Sock, and our 2011 singles champion, James Blake. The net proceeds from the tournament continue to support the North Suburban Special Recreation Association (NSSRA), an intergovernmental partnership of ten park districts, two cities and one village in the northern suburban area of Chicago. NSSRA provides and facilitates year-round recreation programs and services for children and adults with disabilities who live in the partner communities. This tournament could not take place without the generous financial support of our sponsors, and the commitment of hundreds of community members who volunteer at the tournament, provide housing for players, and serve as ball kids. Below is a history of the singles and doubles tournament winners and runners up.